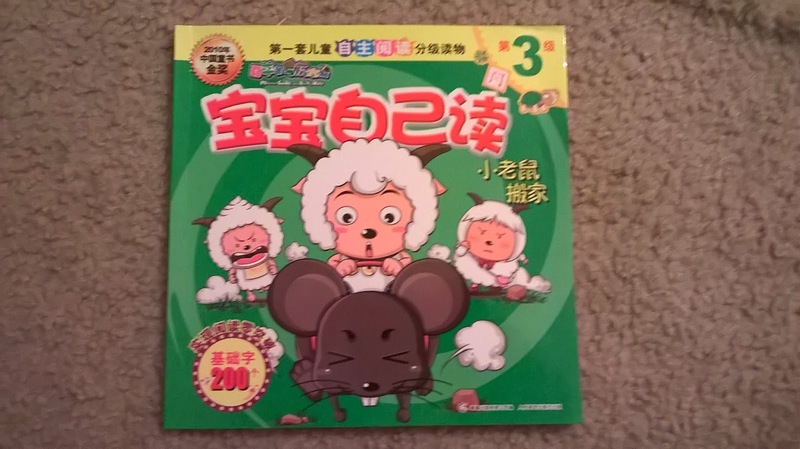 We brought 宝宝自己读 -- 老鼠搬家 (Little Mouse's Moving -The Pleasant Goat and The Big Big Wolf) home from China a year ago, and we're realizing that it's the best children's book we have. We desperately wish we had more of these books. 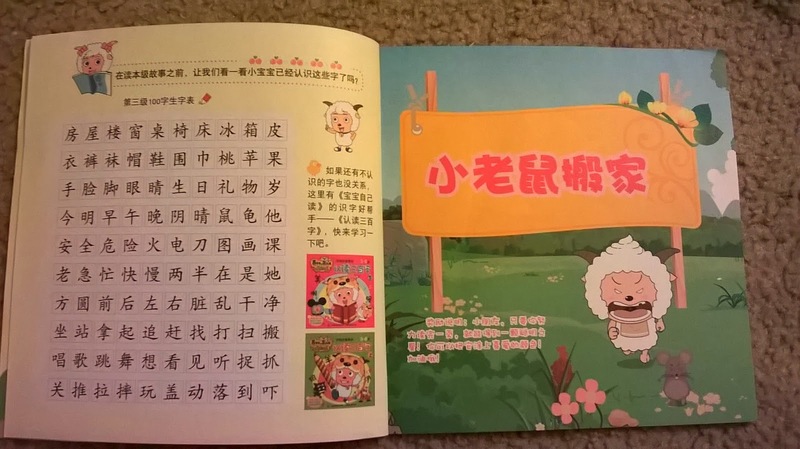 This book is fantastic, and I'm guessing that the entire series of 宝宝自己读 books are great. They're great because the stories are made from all the most basic characters. 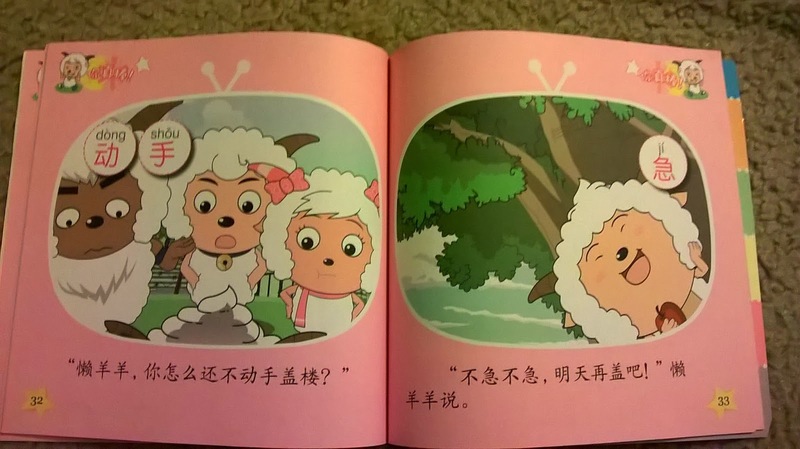 The stories are made to specially introduce characters as you go throughout the books. 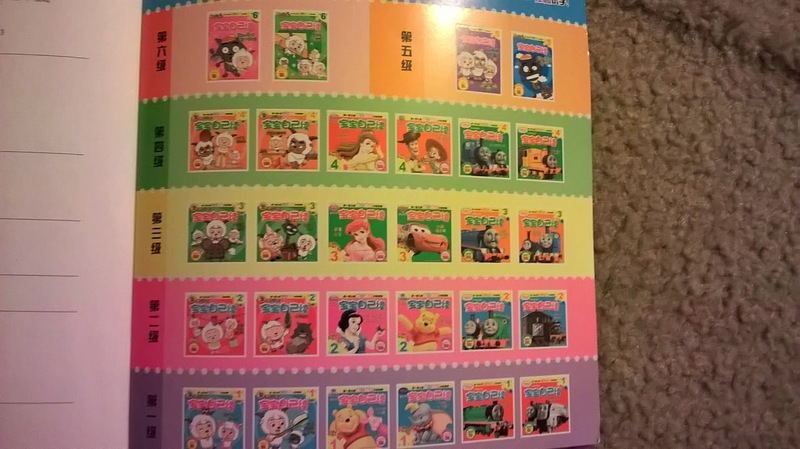 The characters do not have pin yin, but when new characters are introduced there is pin yin. 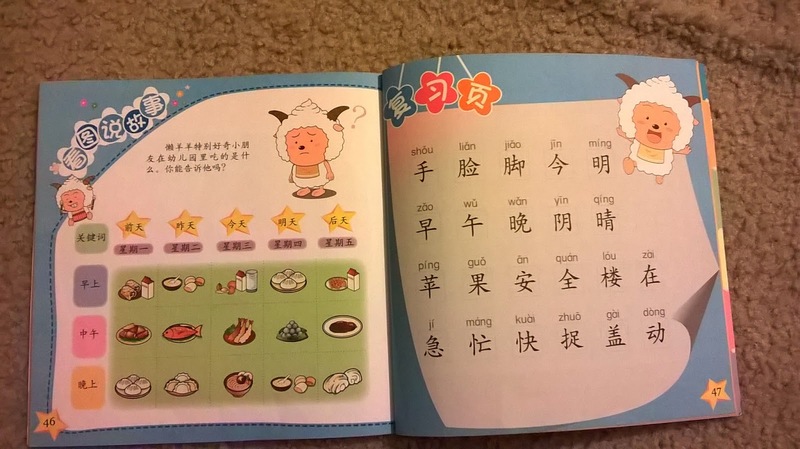 This really helps our kids learn the characters, and when they are learning or relearning new characters the pin yin helps them out a lot. See pictures below to understand what I mean. 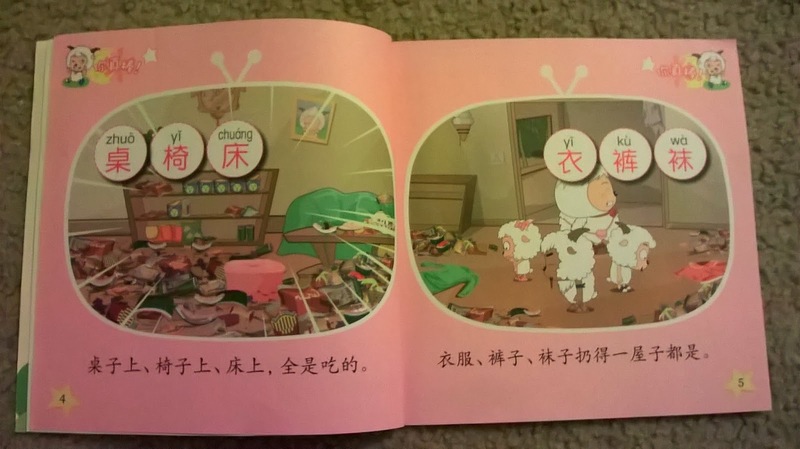 The pictures are interesting, the story is fun, the sentences are simple, and new words are introduced with pin yin.